A core range of tools . . .
Services to improve your business operation, saving your time and money. Outsourcing certain business support services to a reliable 3rd party provider like WNJ makes sense for many businesses. At WNJ, we offer a comprehensive range of key support services to help a wide range of business needs. Resource costs can be easily budgeted and risks can be reduced through outsourcing services. Recent legislative changes have increased the administrative burden on business owners with future ‘Making Tax Digital’ (MTD) legislation, expected to do likewise. Our dedicated Payroll Department will deal with all the compliance aspects of this for you to enable you to concentrate on managing your business. We operate an approved BACS bureau which means that we can deal with the transfer of payments to your employees’ bank accounts. If you are struggling with the burden of auto enrolment, our specialist team are here to help. With their extensive experience, they are able to provide assistance with all auto enrolment matters including; setting up pension schemes on your behalf, processing payroll with pension contributions, submission to the pension company and the tri-annual declaration of compliance. In order to comply with the General Data Protection Regulation (GDPR) you have access to an e-payslip service which is accessible to your employees via a secure website. They will receive a unique login ID and password to view their payslips and P60s online, meaning your employees can access all their historical payslips in one place. We will also send out the payroll reports to our Clients using an encrypted email to a secure portal to ensure confidentiality. Our payroll service gives you swift, error-free processing to ensure your employees are always paid correctly – and on time. Speed and accuracy are of critical importance to you and to us. WNJ’s dedicated Cloud Accounting department, formed in response to the Government’s Making Tax Digital (‘MTD’) legislation, specialises in online bookkeeping, training and support. We provide support and training for all major cloud-based software, including SAGE, Quickbooks, FreeAgent and Xero. WNJ’s Online service provides access to all these applications. Our assistance in processing your data, including the preparation of VAT Returns, can save you valuable time and allow you to focus on the running of your business. WNJ offers advice on which software application best suits your needs, management reporting from software, and can assist in both the setup of the software and provision of training for your staff. 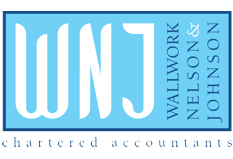 To help relieve your administrative burden, WNJ offers a full company secretarial service. It ensures that your organisation complies with the latest legislation.